If you’ve never tried sheet masking and missed out on the chance to look particularly insane on Instagram, check this out. 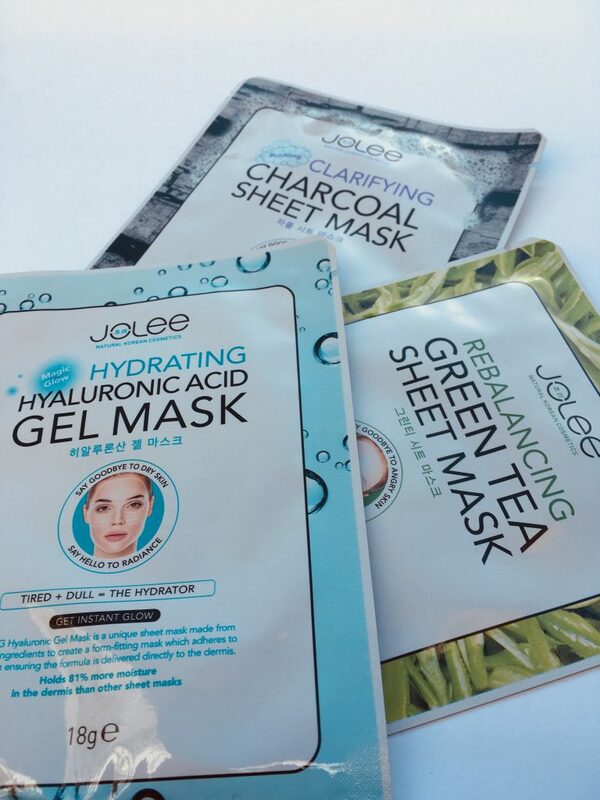 This is the JoLee Weekly Mask Set. JoLee is a UK brand with Korean-inspired formulations. Either the ingredients or the product have been sourced from Korea and brought to the UK. 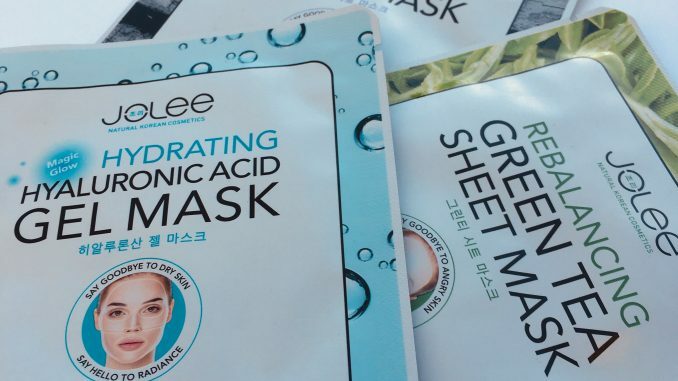 We’ve already looked at their Dry Sheet Mask, and if you’re quick you can win one for yourself in the giveaway. In this set (currently reduced to £5.99) you get three sheet masks, designed to be use across the course of a week. Each one does something slightly different. Hopefully the combined effect will leave your skin glowing and refreshed. Sheet masks are saturated with serums formulated to target skin concerns. You generally wear them for up to 20 minutes. If your sheet mask is starting to dry out then you’ve had it on for too long. Sheet masking is also useful if you are on the run from the authorities because who knows what’s lurking behind your sheet? I once saw a woman in the gym who was wandering around naked apart from her sheet mask and fair enough, I couldn’t have picked her out in a line up. This is a foaming, wash-off sheet mask. Activated Charcoal, O2 bubbles and Orange and Papaya extract clarify skin by drawing out dirt, oil and impurities from pores for cleaner skin. The intensive formula of this natural fibre mask rebalances dehydrated areas, eliminates shine and restores the skin’s glow. The Hyaluronic Acid in the final mask helps reduce the appearance of fine lines. The collagen helps plump skin whilst Vitamin E revives tired and dull skin. To me, the most interesting mask here is the first one, the Charcoal Bubbling Sheet Mask. We’ve looked at bubble masks before .They’re still not all that widely available outside Korean skincare. Which is weird because they are totally top fun. Once you’ve washed the bubbles off, the skin feels super refreshed and clean. The orange and papaya extracts mean that this is probably not for you if you have extra sensitive skin, though I enjoyed the orange scent of it. As you can see it’s a pretty big mask so if you’ve got a tiny face like a pea it might swamp you. 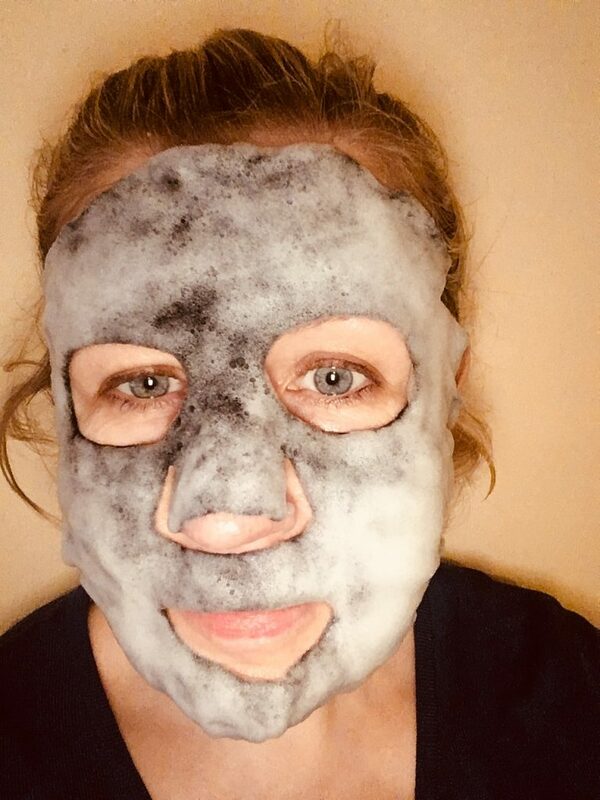 I’ve got a giant face like the moon so I was OK.
All in all I think this set is a great bargain for anyone dipping a toe (or face) into the wonderful world of Korean sheet masking. It’ll certainly give your Instagram followers something to cheer about. What’s inside your make up bag?